Enjoy an immersive audio experience with crystal clear audio and rich bass. 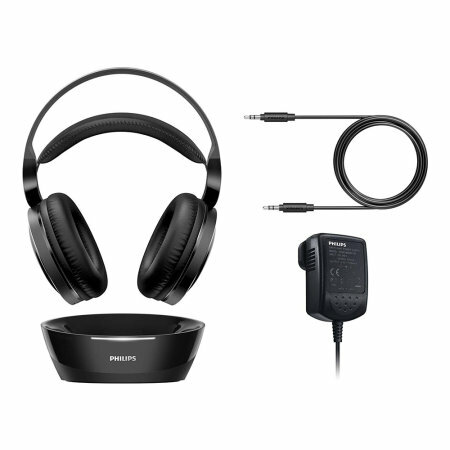 Philips Wireless Headphones feature a range of 100 meters and a comfortable around-the-ear design, experience the ultimate in personal home entertainment. 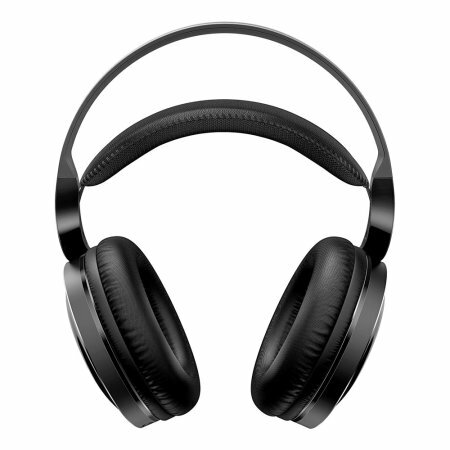 The high- res wireless TV headphones from Philips offer superior cinematic sounds. 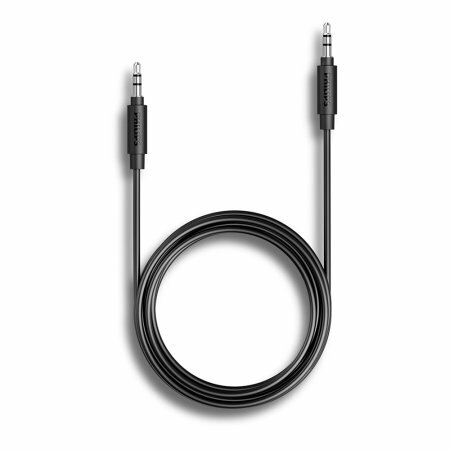 Using the cable provided, Philips SHC8800 support high-resolution audio which delivers great audio quality. Equipped in soft fabric ear cushions, the 40mm drivers of Philips SHC8800 provide an extensive comfort. Additionally, the self-adjusting lightweight hammock gives you the best fit and delivers optimal comfort so you can wear them as long as you want. 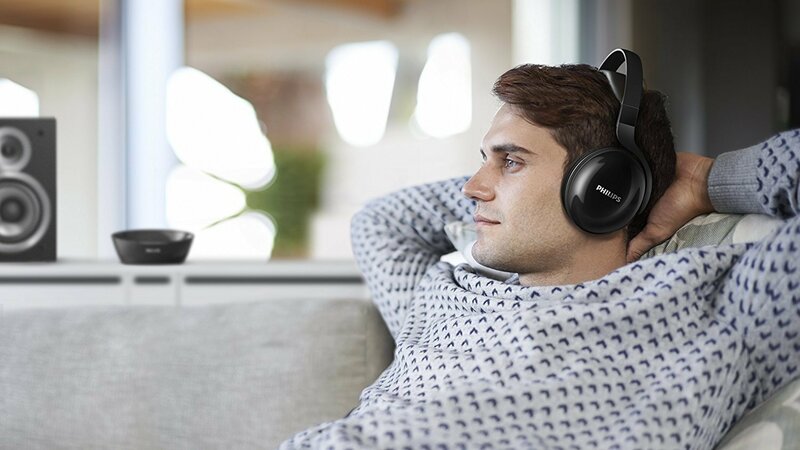 Philips Wireless TV Headphones provide an amazing 20-hours runtime so you can indulge in a marathon of movies without worrying about losing power. 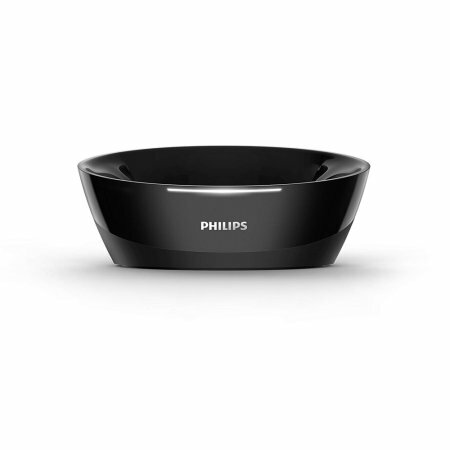 The charging of the Philips Wireless TV Headphones could not be easier, simply place them back on the charging dock when you finish using them. 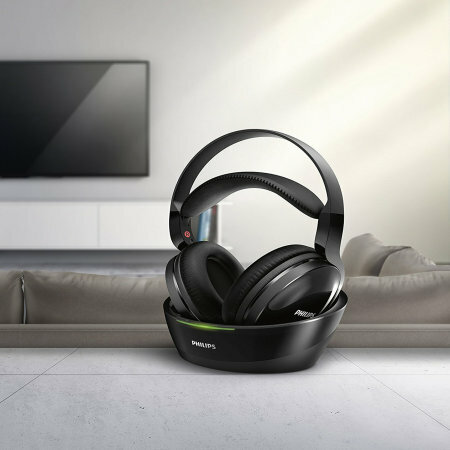 Enjoy your favorite music all around your home as Philips Wireless TV Headphones have 100 meters of transmission range so you can move freely around your home.